You can choose from any of our thousands of UNFINISHED cabinet doors and drawer fronts to buy online at DISCOUNT PRICES! ALL of our door and drawer front styles are available unfinished. Just like with our finished cabinet doors and drawer fronts, you can choose the style, options and sizes you want for any unfinished cabinet doors and fronts. Each of our Stylish Deal doors is available in unfinished paint-grade material at a great price, and each of the Bargain Favorites is also available unfinished at the lowest possible price. The Unlimited Styles collection contains the widest selection of unfinished cabinet door and drawer choices. You can pick your material, style and profile options. Then enter your sizes and add them to your cart! made to the sizes you need. You pick the options and sizes. Kitchen Cabinet Doors and Drawer Fronts in a Variety of Styles and Finishes! Horizon offers the best quality and selection kitchen cabinet doors and drawer fronts -- perfect for cabinet refacing in baths and other rooms, too -- and the best prices on American-made replacement cabinet doors. Period. And nobody works harder to bring these finished or unfinished cabinet doors to you in an easy-to-use, easy-to-navigate online system. Horizon is the only online site that offers steep discounts on our most popular styles of kitchen cabinet doors (in the 'Bargain Favorites' and 'Stylish Deals' Collections) while also offering industry-best pricing on thousands of replacement cabinet door styles. Horizon is also the first and only online website in the cabinet refacing industry to offer nationwide FREE SHIPPING ON ALL ORDERS, making this easily your most inexpensive option. You can choose from thousands of styles and dozens of wood species, with matching accessories. We have unlimited varieties of unfinished doors and drawer fronts (that is, made from raw wood ready for you to paint or stain), and almost as many options for pre-finished doors and drawer fronts. And, of course, you can have them delivered directly to your home or jobsite. If you're a homeowner, there comes a time when you decide you've lived with your existing kitchen cabinet doors or vanity cabinet doors for too long and you're ready for something new. Either the style has become passe' or they've become beat-up from overuse or they've suffered damage from water or other elements. The thought and expense of a complete kitchen makeover may be too much to bear. The simple solution is to get low-cost, premium cabinet doors made to order. These can be raised panel or flat panel cabinet doors, made of virtually any wood specie, finished or unfinished. New, solid wood, finished doors and drawer fronts for a typical 10x10 kitchen cabinet refacing job can cost as little as $700 delivered! It costs even less to get unfinished cabinet doors, then paint or stain them to match your existing woodwork! If you opt for finished cabinet doors, we offer the matching stain or paint so you can make everything else match them. In addition, we can provide brand new dovetailed drawer boxes to replace the junky ones you've been living with for years! Cherry, Hickory, Red Oak, White Oak, Maple, Walnut & More - Quote Online and Buy Online! If you're a remodeling contractor, handyman or cabinetmaker, there's no need to pay retail prices or to make the replacement cabinet doors yourself. There's no reason to wait for long turnaround or pay the premium prices that most companies charge for custom doors or to set up your own tooling to make well-constructed, custom cabinet doors. Instead, allow Horizon to make them to the exact sizes and cabinet door styles you need. What do Horizon's Replacement Cabinet Doors Cost? If you shop around, you'll see that most American-made kitchen cabinet doors are pretty good and some (like ours) are excellent, but the prices can vary greatly and are not necessarily an indication of quality. (See our Cabinet Door Price Comparison chart.) Shops like ours with the capacity, resources and skilled craftsmen to make thousands of cabinet doors each day can often keep prices down and provide more consistent, high-quality results than the smaller shops. On a Cabinet Refacing Job, How do I Measure for Doors and Drawer Fronts? There's no one answer for this question. The answer depends primarily on two factors: the construction of your cabinets (face-framed vs. frameless) and the look you want to achieve. We have developed a tool to help you measure cabinet doors, or rather to determine what the measurements should be. However, this is just a tool and not the final answer. There are many different configurations and obstructions that must be considered when sizing cabinet doors, so you have to approach it logically and check your results. Typically it's not very hard, but worth taking your time and getting your numbers right. We don't provide hardware, such as hinges, drawer slides, knobs or pulls, but there are plenty of websites that do. Search the web for "cabinet hardware" and you'll see a lot of choices. You'll want to make sure that the hinges you purchase work with the sizes of the replacement cabinet doors you buy, and same for drawer slides and drawer boxes. You will learn more about this as you go through this site. Take your time and enjoy the shopping experience. We have many tools and resources to help you along. Make sure to look through our Horizon Cabinet Door Frequently Asked Questions. If you get stuck, then feel free to contact our support team. 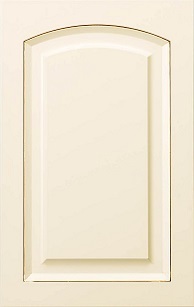 Horizon Cabinet Door is a kitchen cabinet doors manufacturer. We sell high quality cabinet moldings, custom red oak cabinet doors, custom MDF cabinet doors, custom made maple cabinet doors, custom made cherry cabinet doors, dovetail drawer boxes, and more.